I’ve been trying out and rediscovering so many new bits in my makeup collection that I really wanted to put together a post on the pieces that I feel back in love with all over again. A couple of the products are new, but I’ve been using them so much that I thought I’d mention them anyway because they’ve quickly become firm favourites! If you read my February Goals, you’ll know that I’m trying my best not to spend this month as my bank account took quite a hit in January… but that means I get all of February to really enjoy and appreciate what I bought and write up several posts with my thoughts, swatches and mini reviews. I spoke about the Bobbi Brown Conditioning Brush Cleanser in a recent post and I stand by the fact that it’s only for those that feel comfortable with spending more on brush shampoo. I was never one of those people, but I do like to be time efficient, especially when it comes to chores! I’m sure most people don’t enjoy washing their brushes and this really does seem to cut the job in half for me, and for that reason, I can justify purchasing it for myself. 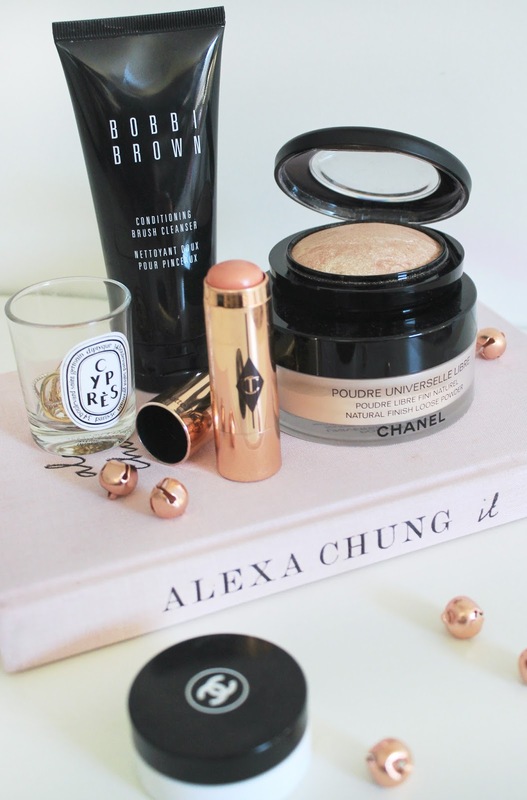 I recently re-discovered my love for the Chanel Poudre Universelle Libre Natural Finish Loose Powder. I have very dry skin right now and so I don’t like powdering too much but a light sweep of this on my forehead, nose and chin gives a beautiful sheer-matte finish without caking or looking heavy, whilst also setting my makeup in place. The tub is massive so it lasts forever which is also a bonus! Speaking of powders, I have been using my Mac Soft & Gentle Highlighter a lot over the past few weeks. I’m sure you’ve all heard about how beautiful it is because it’s been around for ages and every blogger and vlogger has raved about it for years. It really is just a gorgeous glowing highlight option that suits so many skin tones. 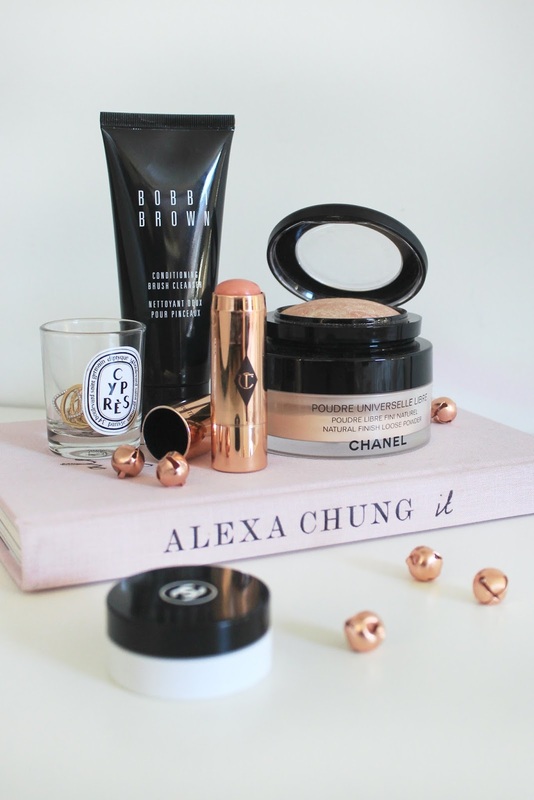 Another glow favourite is the Charlotte Tilbury Beach Stick in Moonbeach. This one is a must have for busy morning people who need multi purpose products for quick and easy makeup! This double up as a lovely highlight and blush for a gorgeous luminous flush to the cheeks. It’s super creamy and blendable which is perfect for dry skin. Charlotte Tilbury has released multiple shades but this one is by far my favourite, its so pretty… I mean, the name itself just sums up the shade! 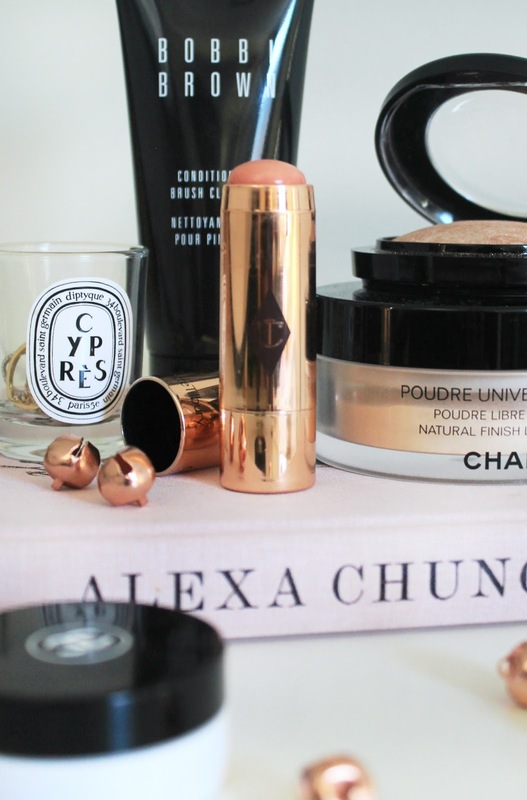 Last but by no means least, the Chanel Hydra Beauty Lip Balm has been featured on my blog several times ever since I bought it last year. It’s the most hydrating lip balm I have ever tried and that’s exactly what I need right now whilst being on Accutane. It’s very thick, almost like a mask, so if you don’t like heavier balms then this one isn’t for you. However, I find that the heavier the balm, the more nourishing and hydrating it is – and there’s just something so luxurious about this one. Definitely up there in price but not quite as steep as lip balms like La Mer or By Terry, so it’s definitely a good option for a luxury balm for really dry lips. What are your favourite splurge items?